Heineken 0.0 Alcohol Free Beer was introduced to the Canadian market several months ago already but I only got to try out the beer today because I didn't want to buy an entire six pack of this beer, one bottle or can will suffice. 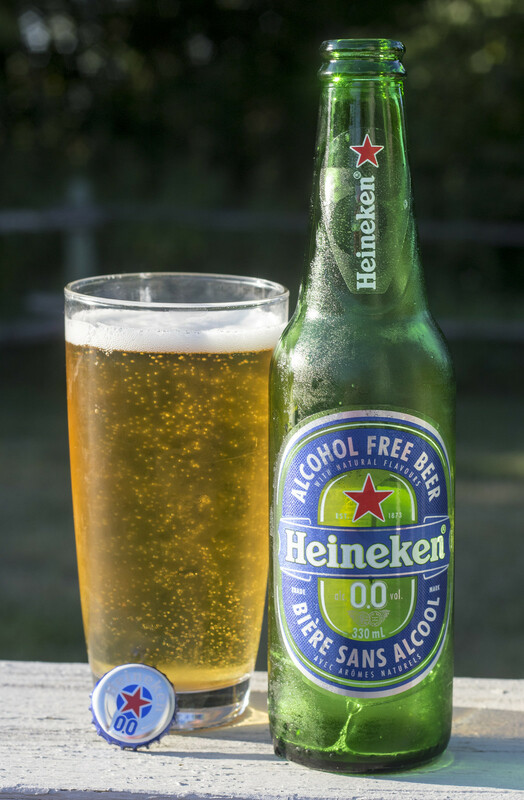 Heineken 0.0 is well, as you can tell, a non-alcoholic beer brewed with not even 0.5% alcohol by volume. Ingredients: Water, malted barley, hop extract and natural flavours. Like Budweiser Prohibition, this one has hop extract rather than actual hops in it. It has 70 calories per 330mL bottle and 17g carbs, making this definitely not as healthy as the Coors Edge I reviewed yesterday. Anywho, now onto the review! Appearance: Pours a light, clear, golden straw body with a good amount of micro-carbonation taking place in the glass.. so, so far it looks like a typical glass of Heineken to me. The head is half a finger's worth of creamy beige foam on top that's not going anywhere.. so far. Aroma: The aroma was the first thing I noticed about this beer.. this definitely has the trademark Heineken skunkiness everyone expects in a bottle of their beer. There's a light floral aroma to it, a bit of a wet grain presence to it, incredibly light sweetness and a light scent of feet.. yes, feet. Taste: I'm finding that the hop extract seems to be the main thing I'm noticing in this beverage - it tastes like someone dropped in hop substitute in a bucket of barley and water. It's a weird bitter hoppiness that's a combination of pine and grass but tastes all chemical. I think the malted barley is in there.. it takes a while for me to find it, it mostly tastes like spent barley that's been re-used for a new batch of beer.. as there's definitely something there but nothing like the non-alcoholic beers I've had recently. There's a hint of lemon extract in there as well. I don't really get that trademark skunkiness in here.. which I kind of expected, especially after the aroma had it everywhere. I guess the hop extract aroma makes up for it.. but meh, not really. Overall Thoughts: I was a big fan of Heineken back in 2004/2005 but this doesn't live up to the Heineken name, it has the taste of hop extract and spent grain being re-used for another batch. I definitely won't be buying this again, and I'm glad I didn't have to pick up an entire 6-pack in order to try this for review purposes. 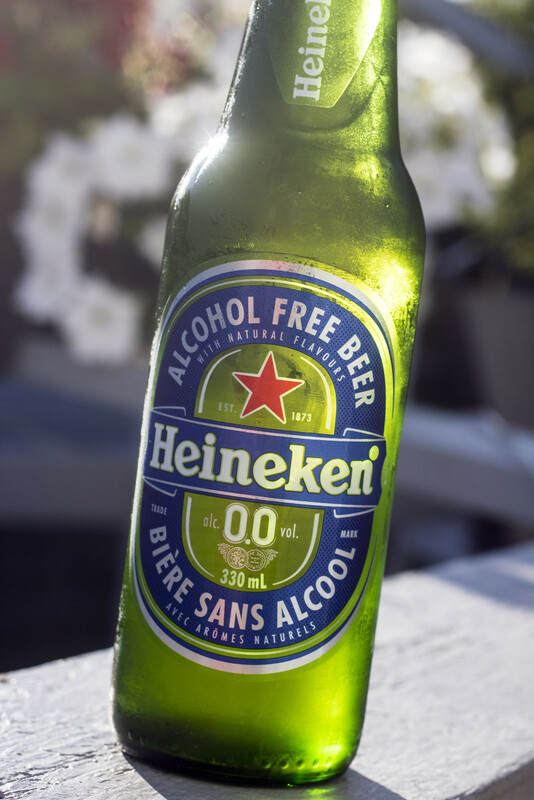 I am a Henineken fan and this stuff IS a Heineken beer. It is light, tasty and I love it.